It's simple once you get past fiddling with pixels. The easiest way I found to align the picture perfectly, is to make the photo portion of that template into a 600x600 pixel square in Photoshop. Here is that Photoshop file with the guide already there. 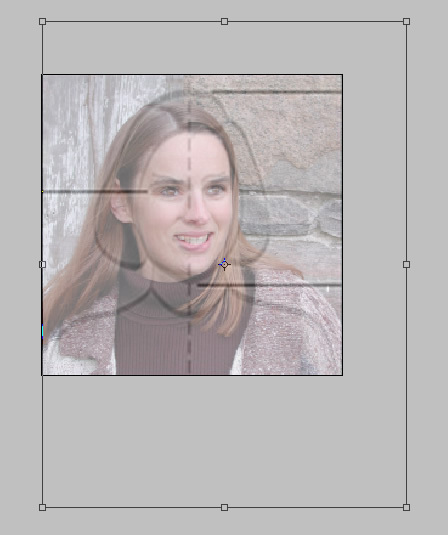 Paste the subject's photo as a new layer on top of the template and take the opacity down to 50%. Use Free Transform to make your photo the perfect size and alignment to match. Then raise the opacity back to 100%. Here's a random portrait snagged from MS Clipart, which isn't a good passport photo (not plain white background, not looking at camera-- see, I'm getting good at this!) but it'll work for an example. 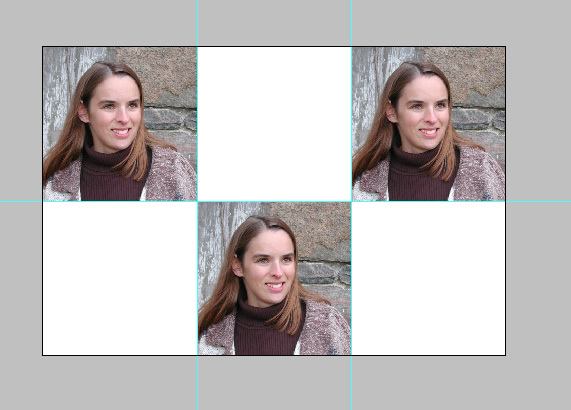 Select the whole square and copy, then paste it into another Photoshop document set up at 4" x 6". Here's that Photoshop file at the right resolution with guides to help align the photos.